Kuala Lumpur is notorious for its traffic jams and lack of parking spaces, so I decided to take the light rail transit to get to Jalan Dang Wangi. In my head, it was the perfect plan — arrive at the Dang Wangi LRT station and walk to the street — no traffic jams, no parking issues. It’s not very far from the station to the eastern side of the street, but my first stop was Campbell Complex, on the western end, and it turned out to be a rather long walk. The burning sun did not make the situation any better and I was rather relieved when I finally arrived at the complex. 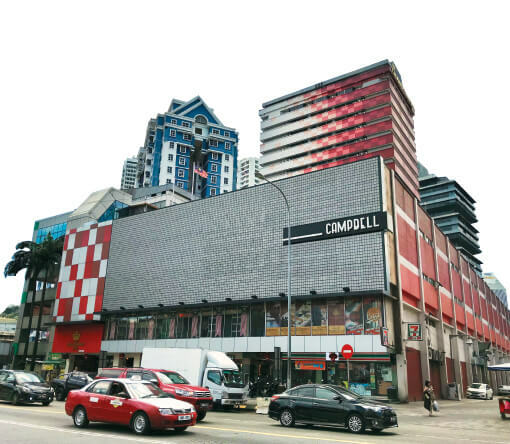 Built in 1973, Campbell Complex is the first modern multi-storey shopping mall in the city. In April 1976, the 20-storey complex was destroyed in a fire. Repairs were later carried out and the building was reopened. The complex’s registered and beneficial owner was Lim Thiam Leong Realty Sdn Bhd, a unit of Bolton Bhd (now Symphony Life Bhd). In 2010, Bolton sold Lim Thiam Leong Realty to Shapadu Resources Sdn Bhd, which converted part of the building, from the 14th floor and above, into a budget hotel. The other floors were left as retail units and offices. The complex was my first destination because I had an appointment with property expert Datuk Siders Sittampalam, the managing director and founder of PPC International Sdn Bhd. Jalan Dang Wangi and nearby Jalan Tuanku Abdul Rahman and Jalan Masjid India once mainly catered to Indian shoppers, he tells me. “But over the years, the whole landscape has changed and it has become a place catering more for Malays. If you are getting married, this is the place to get your wedding attire and decorations,” he says, adding that the area also has many tudung shops. However, there are still some shops that cater for Indians. “Now, the Indians come here to get saris and gold.” While some Malays also buy gold here, the designs tend to more in the Indian style, he explains. The buildings in Jalan Dang Wangi mainly comprise offices and prewar shophouses. Apart from Campbell Complex, another landmark there is Wilayah Complex. Businesses in the area include car workshops, restaurants, grocery shops and stationers. 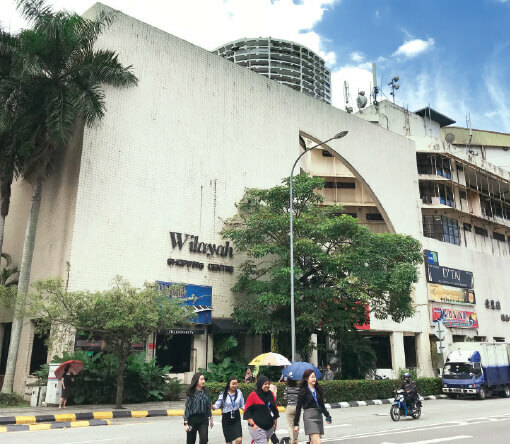 The Dang Wangi District Police Headquarters, Wisma TKT, Wisma Dang Wangi, Harrisons, Odeon Walk, Pertama Complex and Sogo KL are among the better-known buildings in the neighbourhood. He says AK Sultan Holdings Sdn Bhd, a company related to the Agate Group, has put up six prewar shophouses on the market at a price tag of RM30 million. Rents for office space range from RM3.50 to RM4 psf, which is “very reasonable”, Siders says. 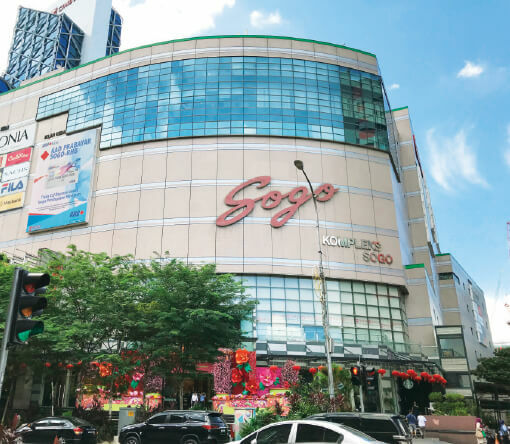 Transaction records provided by him show that a 2 to 3-storey shoplot with a built-up of 2,158 sq ft in Jalan Dang Wangi was transacted at RM2.8 million in 2015. A retail lot with a built-up of 431 sq ft in Campbell Complex changed hands for RM800,000 in 2017. 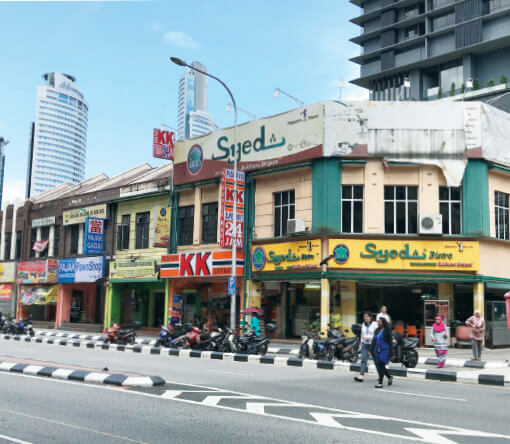 In the same year, retail space ranging from 226 to 301 sq ft in Wilayah Complex were sold for RM125,000 to RM130,000. Prospects for the area look good as Titijaya Land Bhd has entered into a joint venture with a land owner who owns a piece of vacant land opposite Campbell Complex where Odean Walk is located. UDA Holdings Bhd has a piece of land there too. Catalysts for the area would be refurbishing of the malls and, perhaps, future developments on the vacant land as well as redevelopment of the shoplots. However, for that to happen, the shoplots would need to be jointly redeveloped, says Siders. Jalan Dang Wangi connects with Jalan Raja Laut on the west and Jalan Ampang on the east. Along the way, it intersects with Jalan Tuanku Abdul Rahman, Jalan Munshi Abdullah and Jalan Raja Abdullah. It also intersects with Jalan Medan Tuanku, Jalan Doraisamy and Jalan Kamunting. During the British colonial rule, it was known as Campbell Road, after Douglas Graham Campbell, in honor of his contribution to the creation of the Kampung Baru Malay Agricultural Settlement, which the street once bordered. In 1980, it was renamed Jalan Dang Wangi, who was said to be a handmaiden in the Malacca’s royal palace during the reign of Sultan Mansur Shah in the 15th century. She was said to be present during the duel between Hang Jebat and Hang Tuah, and was the mother of Hang Jebat’s son, Laksamana Hang Nadim.